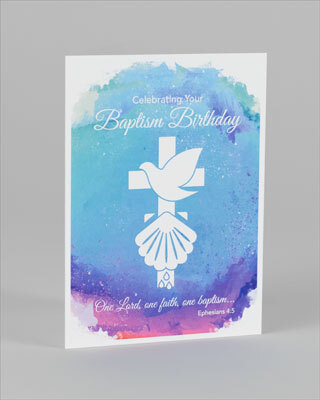 "Like your birthday, your Baptismal Birthday reminds you of a very important day . . . the day you became a child of God. What a joy to celebrate this day!" Shrink-wrapped in sets of six.